~ Revolving line of credit that you can use over and over again. ~ Special financing where available. 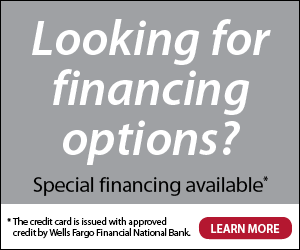 The credit card is issued with approved credit by Wells Fargo Financial National Bank, an Equal Housing Lender. Ask for details.